Over the weekend, Charlottesville erupted into chaos. White supremacists and neo-Nazis brawled with masked left-wing Antifa rioters in what could only be described as a battle between Satan and Lucifer. While the mainstream Left has attempted to frame this weekend’s insanity as a one-sided issue, video evidence clearly demonstrates that members of Antifa, or anti-fascists, heavily contributed to the violence. 1. Antifa uses fascist tactics to achieve its goals. Antifa is to anti-fascism what Stalin was to freedom. Antifa is fascism personified. Despite calling themselves “anti-fascist,” members of Antifa routinely deploy fascist tactics to shut down, intimidate, harass, and bloody their political opponents. In fact, the group gained national visibility after viciously targeting Trump supporters at an event in Berkeley. 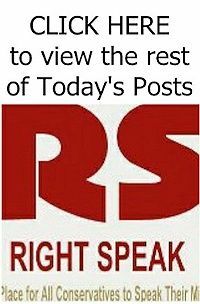 “They’ve shown up previously at Berkeley to shut down a ‘free speech’ event hosted by provocateur Milo Yiannopoulos, leaving damaged property, fires, and assault victims in their wake,” notes Conservative Review. Before that, Antifa thugs expressed their rage about Trump’s presidential victory by burning down liberal meccas like Portland and Oakland. Throwing rocks through Starbucks’ storefronts, slashing tires, burning parked cars, smashing windows at auto dealerships, shutting down public transit, and attacking police, these thugs effectively took control over major city centers in the days after Trump’s electoral victory. 2. The Department of Homeland Security labeled Antifa’s actions as “domestic terrorism.” “Shortly after Trump’s election, anarchist and far-left protesters rioted in Portland, bringing at least a million dollars' worth of damage — and resulting, in the eyes of the Department of Homeland Security, in 'domestic terrorism,'” explains Politico. The Antifa group in Portland, known as Rose City Antifa, is particularly violent. The group has actively targeted Republican organizations and student groups, threatening to shut down events with violence. 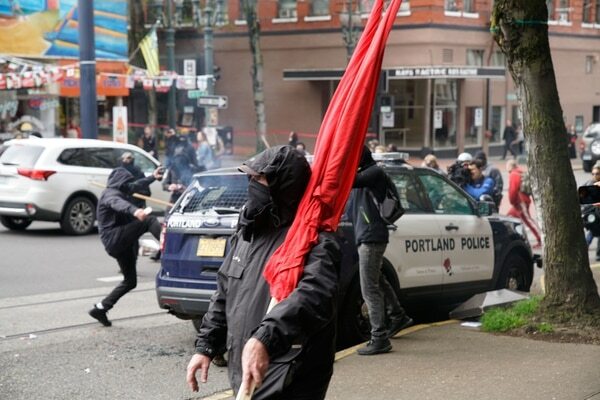 The left-leaning Oregonian newspaper has called Rose City Antifa’s rampage the worst political violence in a generation. “Their actions — conducted anonymously but brutally — show them to be punk fascists,” said the paper’s editorial board. Read the other 5 things You Need To Know About Antifa HERE.